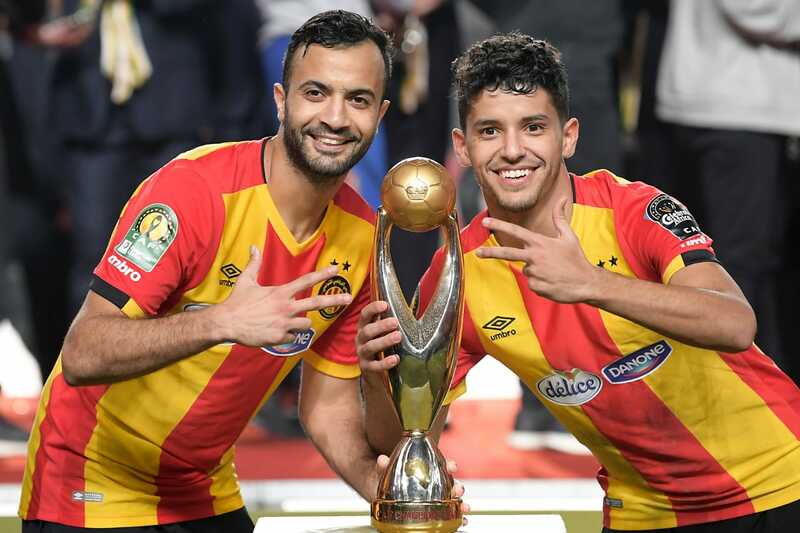 Defending champions Esperance du Tunis beat FC Platinum 2-0 on Friday to record their maiden Group B win in this season’s CAF Champions League. Veteran striker Taha Yassine Khenissi was the destroyer in chief for the Tunisians – hitting a brace to condemn the visiting Zimbabweans to their first defeat of the group. The victory sees the Blood and Gold move three points clear at the top on four points – pending the other group fixture of the day between Orlando Pirates and Horoya AC. Taha broke the deadlock in the 24th minute – capitalizing on poor clearance to stub in from inside the box for a 1-0 half time lead. The danger-man doubled the lead for his brace in the 65th minute – heading home a floated ball from an initial corner kick. Platinum were generally flat and barely threatened Esperance. The game was played without fans since Esperance are serving a two-match fans ban over hooliganism. The team drew their first group match 1-1 away to Horoya AC of Guinea. FC Platinum on the other were held to a barren draw by Orlando Pirates on the same match day.